Epiphany is one of the most important Christian festivals, as it shows how God comes to His people and reveals His salvation to the world. The word Epiphany comes from the Greek word “epiphaneia”, which means “appearance” or “manifestation”. Every year this day falls on 6th January or in some countries, on the Sunday that falls between 2nd January and 8th January. The Epiphany is an ancient Christian festival and is important in a number of ways. In some region, the Epiphany celebrates the baptism of Jesus by John the Baptist in the River Jordan. In some other region, this day refers to the visit of the magi (wise men) to the infant Jesus when God revealed himself to the world through the manifestation of Jesus. 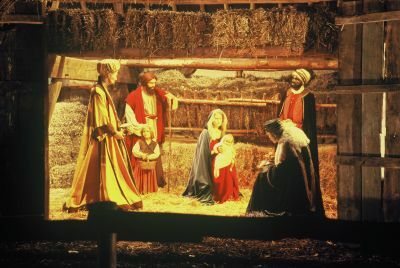 This day also celebrates Jesus’ birth. The traditional color for Epiphany is white, which signifies peace, purity and holiness.